The Martin Luther King Jr. 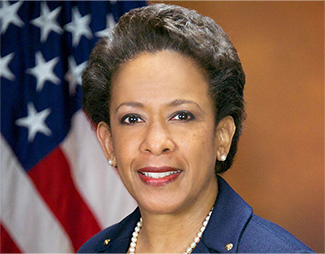 Cultural Dinner – An Evening with Loretta Lynch will take place on Friday, January 26, 2018, with cocktails (cash bar) starting at 5 p.m. and dinner at 6 p.m. in the Brown Ballroom of the Bone Student Center. Reservations are required. Seats are $15 for students and $35 for non-students. The registration deadline is Jan. 12, 2018. *Student meal plan holders may use a meal swipe to make a reservation in exchange for one meal. This event is presented by Office of the President, Illinois State University Housing Services, ISU Student Chapter of NAACP, and the Association of Residence Halls.